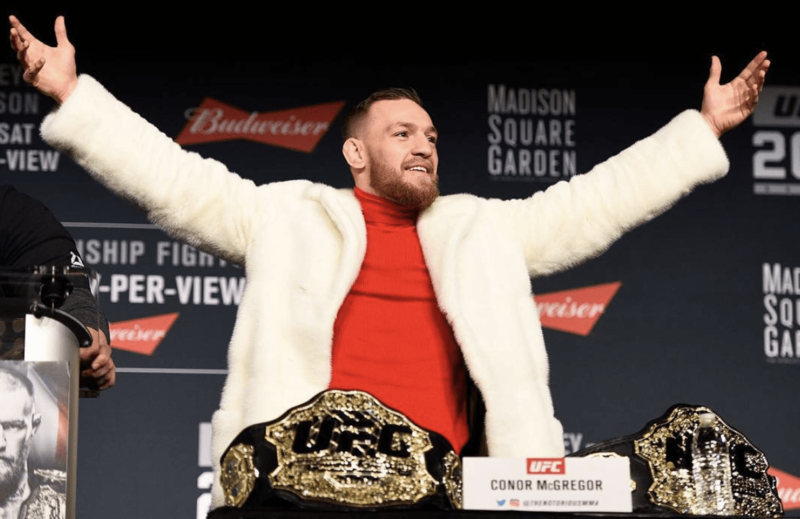 The ticket prices for Conor McGregor’s big return have been released – and they aren’t cheap. The UFC champion is set to take part in the “biggest fight in UFC history” when he comes face to face with Khabib Nurmagomedov. With it being the most highly anticipated fight in the history of the game, it’s no surprise ticket prices have shot up for the Las Vegas event. Ticket prices have now been listed at: $2,505, $2,005, $1,505, $1,005, $755, $555, $405, $355, $305, $255, and $205, and that’s not including fees. There will also be a maximum of only eight tickets allowed per customer. Tickets for UFC 229 will go on sale this Friday, Aug. 16, to the general public at 1 pm in the US, and 6pm here in Ireland. But tickets are expected to sell out in minutes, so be prepared. Over two million pay-per-view buys are also expected on October 6th, when the pair fight it out in the Octagon.